Back when Forgebane came out, I built and painted up one of the armiger warglaives. 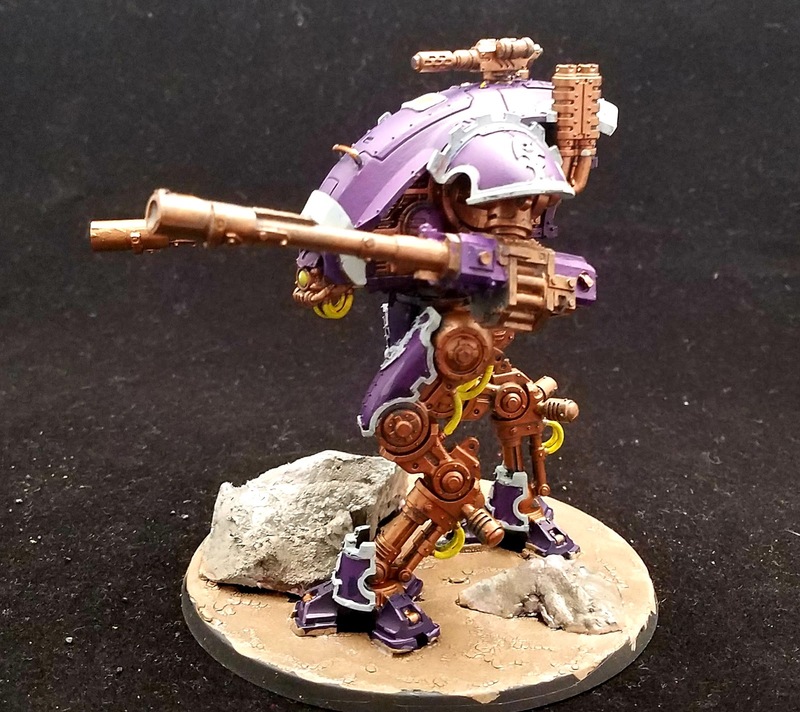 While building it, I thought that they would release another load out later on, so I magnetized the arms. I am glad I did. 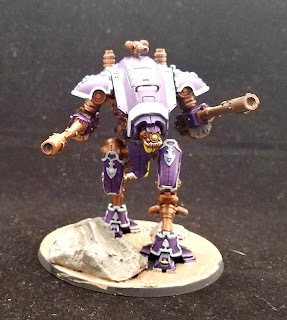 I am not sure why they decided to make two separate kits for the armigers. I am guessing they want to make more money. What this does though is stop the secondary markets from building one version and selling the extra parts for those of us that use magnets. I feel I had I had three choices. 1. 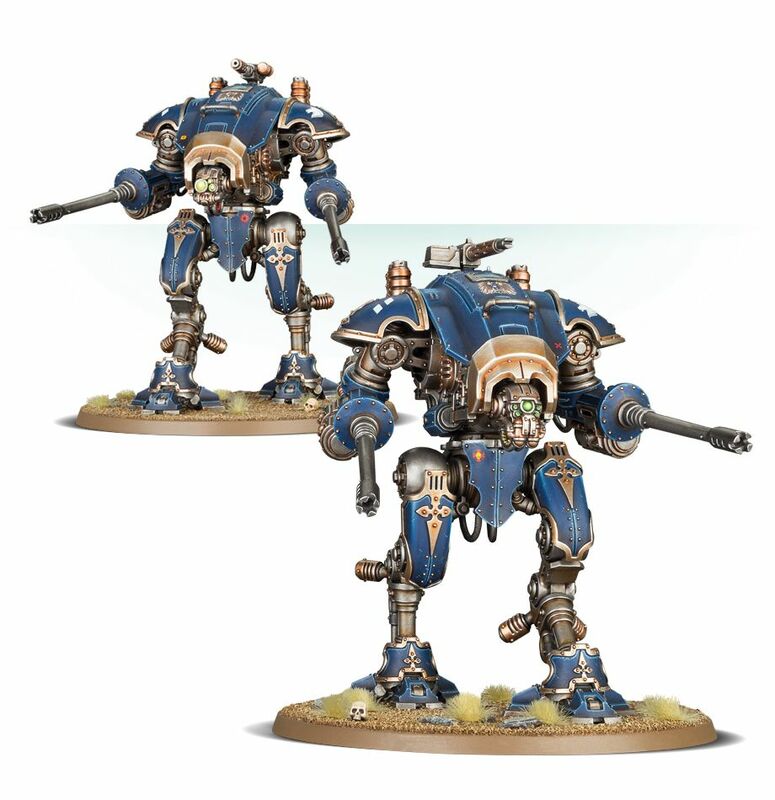 Buy the Helverin kit and have four armigers. 2. Find someone selling the bits and paying a premium price for the bits. 3. Find an alternate bit from a thrid party source. I went through several places like Shapeways and Kromlech but found my solution at one of my favorite Polish modelers Puppetswar. Their autocannons looked to be the right size. After some paint, I think they fit right in. I am so happy with the outcome. Once I finish the second one, I might try them out on the table. I am not sure which loadout I will use but I am know I want to do some testing. 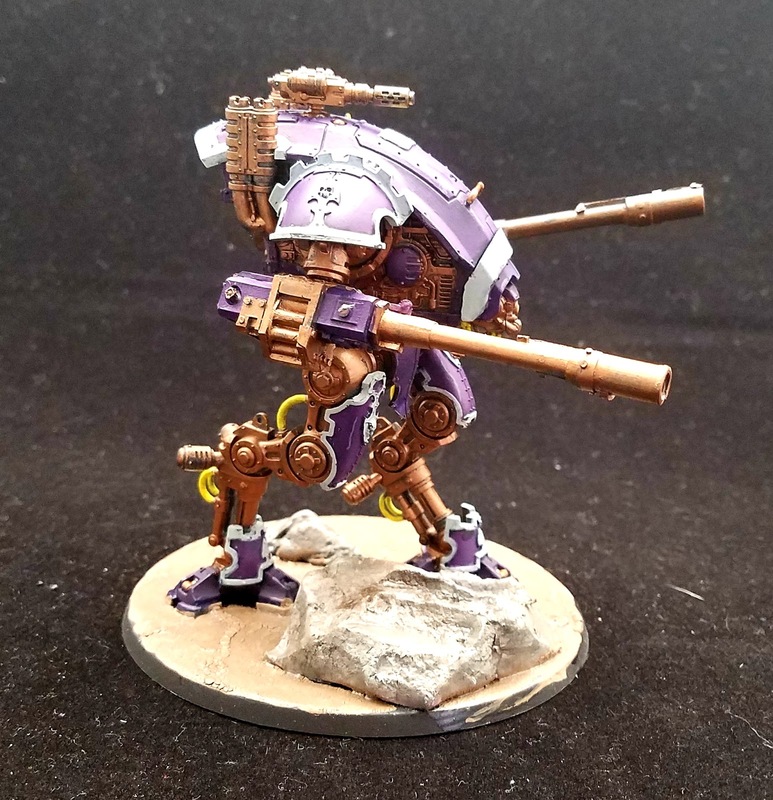 The first test is whether or not the helverin is better than a dunecrawler. We shall see. Questions? Comments? Choom choom chooms!